Boost your energy, reduce pain and inflammation, speed workout recovery time, and support your immune system with powerful, all-natural, antioxidant-infused, Curcumin-C™! 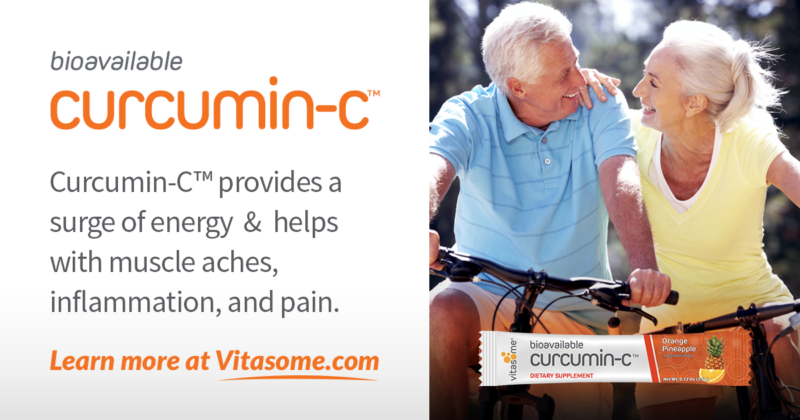 Curcumin-C™ is loaded with energy-boosting curcuminoids extracted from an all-natural healing herb known as turmeric. 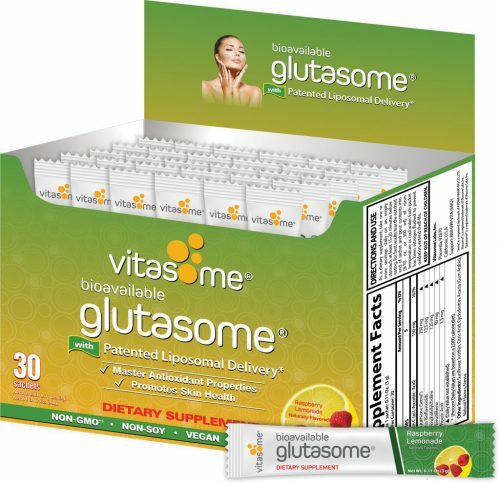 Ideal for workout recovery, immunity support and extra energy to start your day, Curcumin-C™ is the first turmeric supplement using Vitasome’s® patented liposomal delivery to easily dissolve in water without losing its potency. Just add Curcumin-C™ to 8 to 10 ounces of water and shake well to make a delicious tropical pineapple-orange flavored drink. What is curcumin and where does it come from? Curcumin is an extract of the herb known as turmeric (curcuma Longa). Throughout millennia and around the world, turmeric has been a nutritional staple due to its unique spicy flavor, festive color and cultural significance. For more than 1,000 years, it has been used as a restorative, healing herb. More recently, research has shown that curcumin is one of nature’s most powerful antioxidants to defend our cells against stress and environmental toxins that cause “free radicals” to wreck havoc on our overall health. Scientists are now discovering that the combination of curcumin extract and vitamin C has potential to help to reverse toxic effects of pesticides and other environmental pollutants. 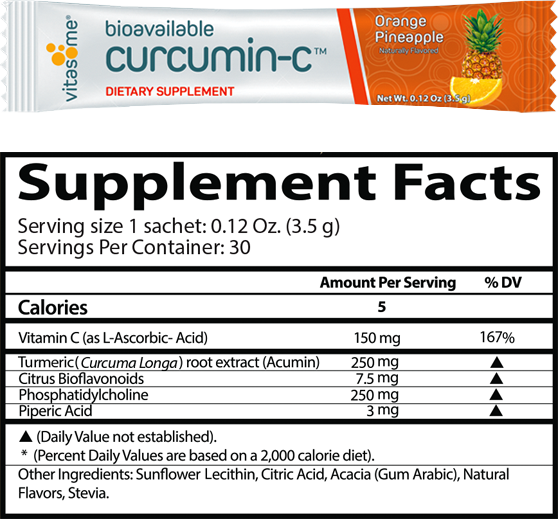 Why should I take Curcumin-C as a daily supplement? 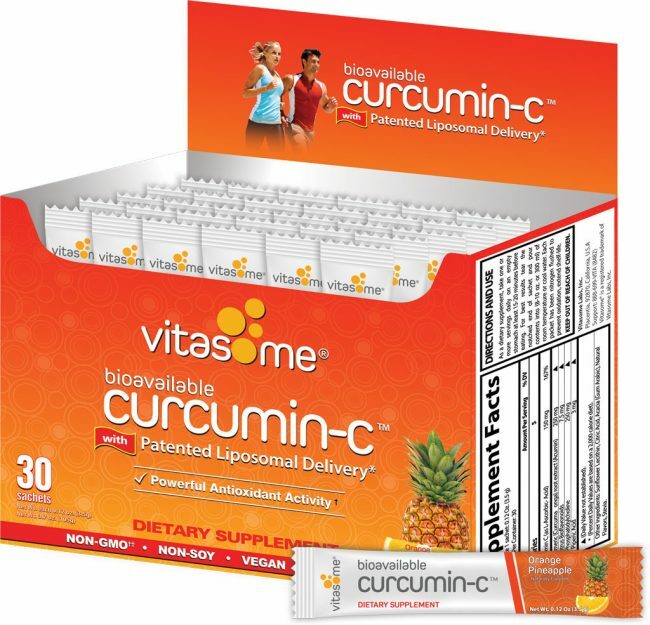 Simply shake the Curcumin-C powder into 8-10 ounces (.24-.30 liters) of water and mix well for a delicious, tropical, pineapple-orange flavored drink with no vitamin aftertaste.